New Delhi: The Rashtriya Swayamsewak Sangh, the Hindu nationalist group often accused of fomenting violence against Muslims and Christians in India, has seen remarkable growth this year, especially after Narendra Modi launched his victorious campaign to wrest political power from the Congress party, which has ruled India for long stretches since independence in 1947. Political scientists and media observers have noted that with more shakhas (local units), online recruits and the patronage of the federal government, the Sangh – the ideological parent of the ruling Bharatiya Janata Party (BJP) – is upbeat. In July 2012, the Sangh had 34,761 units; this number increased to 37,125 last year and swelled to 39,396 two months after Modi assumed the prime minister’s office. Sangh officials say they are targeting a high of 43,000 units and are recruiting aggressively among college students and technology professionals. The 2014 election campaign saw Sangh cadres visit individual homes, hold meetings in residential areas and woo local and national print and television news media as never before. Among the topics discussed on Sangh-promoted programs were the place of Muslims in India, and included a new invention, “Love Jihad,” which cautioned young Hindu women against marrying Muslim men. This campaign has already led to violence in several Indian states. 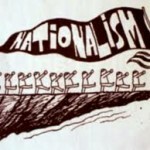 The Sangh is now trying to break through in those parts of India where they have had little support in the past, such as seven northeast states, and the southern Tamil Nadu and Kerala states. Three northeast states, Nagaland, Meghalaya and Mizoram, have a Christian majority, though the populations of these provinces are small in a nation of 1.25 billion people. It has been the argument of the Sangh that the presence of Christianity in these three states poses a threat to the unity and integrity of the political nation-state of India. Slogans such as “Nagaland for Christ” are picked up as illustrations of what the Sangh calls the traitorous and anti-national sentiments that Christianity has introduced to the people of the northeast states. 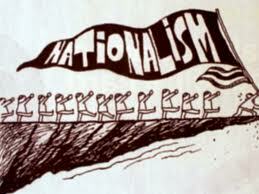 At the top of their agenda is what they call instilling a “nationalist pride” in the people. Sangh leader Mohan Bhagwat has said the group’s education wing, which operates two schools in Nagaland, will carry forward this work in the northeast. The people of the northeast, other than the Meities of Manipur who were converted a few centuries ago to the Hindu sect of Vaishnavism, converted to Christianity through the work of US Christian missionaries more than a century ago. They have no cultural connection to the Hindu religion. The Sangh helped the BJP win half of the 14 lower house of Parliament seats in Assam, where it achieved its biggest success. Modi’s outburst against illegal immigration from Bangladesh boosted the BJP’s popularity among locals. The party also brought community leaders to its fold, making the party acceptable among tea tribes and others. BJP’s national security cell convener P Chandrasekhar Rao said Modi’s statement that after May 16 illegal immigrants will have to leave India created a sense of security among the Assamese people. This is a region that has seen much violence, with Bengali-speaking Muslims targeted for allegedly infiltrating from Bangladesh to change the demographic balance in border districts. The situation is fraught, and it is anybody’s guess what could happen if the Sangh continues its tried and proven strategy of polarizing the people along religious lines. John Dayal is the general secretary of the All India Christian Council, a member of the Indian government’s National Integration Council and a former Editor of Mid Day (Delhi).